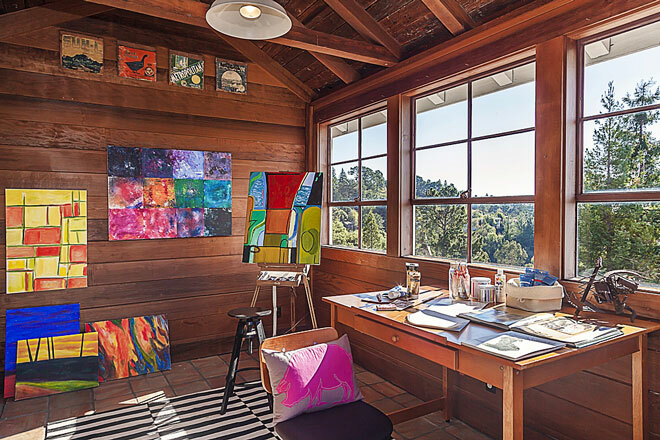 Art studio furnishings help the watercolor artist paint more effectively by providing a work surface, adjustable seating, drying racks, and storage files to organize paper or completed paintings. Lighting is also an important consideration when furnishing a studio. Taborets hold painting materials and are often portable. For the ultimate studio furniture, custom cabinets can be built to include all kinds of drawers, painting surfaces, and easels.